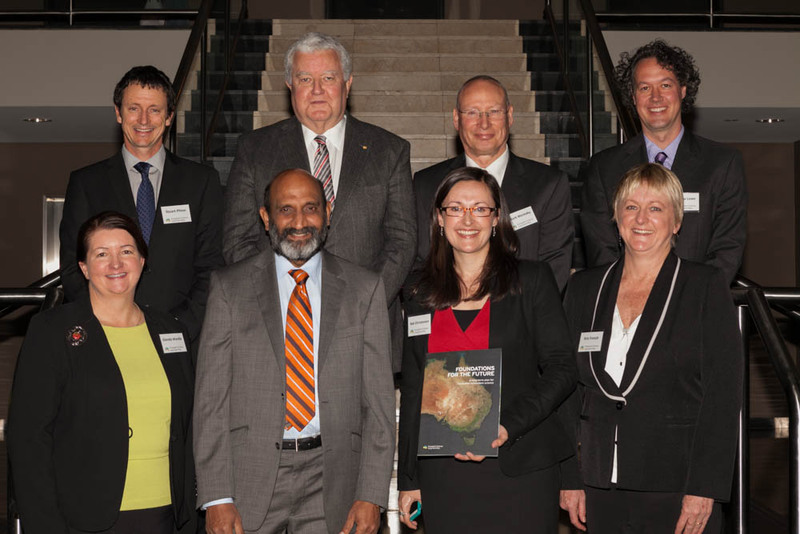 Members of the project steering committee with Professor Chubb and Professor Jagadish at the launch of the Ecosystem Science Long-term Plan. 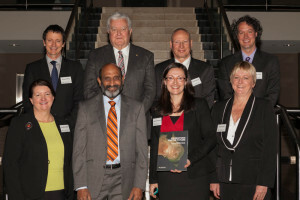 The Environment Institute congratulates Professor Andrew Lowe, Dr Anita Smyth, Dr Steve Morton and 15 others who as part of the Ecosystem Council and Ecosystem Science Long Term Plan Steering Committee were runners up and received a Highly Commended award at the International Association for Public Participation (IAP2) Australasia’s Core Values Awards. The award, announced at the IAP2 annual conference in Perth on 14 October 2015, recognises outstanding projects at the forefront of public participation and community engagement. The group has been helping to establish a basis, scope and future direction for ecosystem science for Australia and has produced a directions document after consultation with several hundred ecosystem scientists across the country. Read more about the Ecosystem Science Long-term plan, Foundations for the future: a long term plan for Australian ecosystem science, or view the Australian Ecosystem Science website for more information. This entry was posted in Awards, Plant Conservation and tagged Professor Andrew Lowe. Bookmark the permalink.